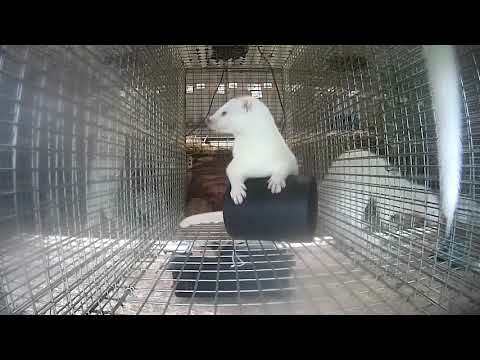 For almost a decade now farmers have been committed to prove that fur farming is open and transparent agricultural activity that is no different than any other. Since the launch of the Open Farm Scheme in 2010, fur breeders in Italy, Hungary, Latvia, Estonia, Finland, Sweden, and Denmark open the doors of their farms to provide an insight into how fur farming works in practice. Their efforts are driven by the desire to burst the myths and alternative facts about the industry and provide people with first-hand information directly from the source. School students, politicians, journalists, farmers from other sectors or merely anyone interested in fact but not speculations and misinformation can go and engage in a dialogue, ask questions and see with their own eyes the conditions on fur farms. In 2016 Romania, Lithuania and Norway organised open farms event in the spring and the autumn, and results speak for themselves. On-farm surveys on the spot showed that 9 out of 10 people were in favour of fur farming once they have visited a farm. People obtaining knowledge directly from fur farmers are willing to change their opinion about the fur industry as opposed to forming it on prejudices and factual errors. The Open Farm Initiative continues in 2017 with fur farmers in Poland who committed to build more realistic societal image of the fur industry based on evidence rather than perceptions. The doors of 5 mink farms will be open for visitors on 22nd April 2017 across the country. Polish fox farms on the other hand will welcome visitors in September. Fur farmers in Denmark and Lithuania are also organising open days in September. Anyone interested in visiting open farm can contact the national fur breeders association in the country for more information.